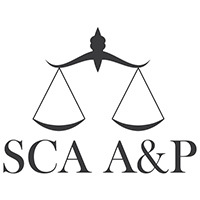 The “Andrasoni & Pop” Law Firm (General Partnership / Professional Limited Liability Partnership) is a law firm having its business location in the commercial center of the Municipality of Cluj-Napoca. The attorneys of the law firm have over 20 years of experience in the main areas of law. The founding, incorporation of the law firm was the result of the collaboration between the attorneys who were part of the already existing law firms, respectively the individual practices of the partner attorneys. The “Andrasoni & Pop” Law Firm (General Partnership / Professional Limited Liability Partnership) is today a homogenous team that provides consultancy and representation in different areas of law. The law firm offers consultancy to a regular portfolio of clients, companies, institutions as well as private individuals. The modality of reaching its purpose is materialized in the developing of a balanced and motivating professional structure that allows the attorneys of the law firm to provide quality professional services. We consider to be equally important the flexibility in facing the continuous changes of the Romanian legislation in connection with the international regulations and the personalized approach, adapted to the needs of each particular client. The “Andrasoni & Pop” Law Firm (General Partnership / Professional Limited Liability Partnership) has two partner attorneys with a vast experience, and young attorneys who are collaborators or interns; all of them however having a flexible and efficient approach.